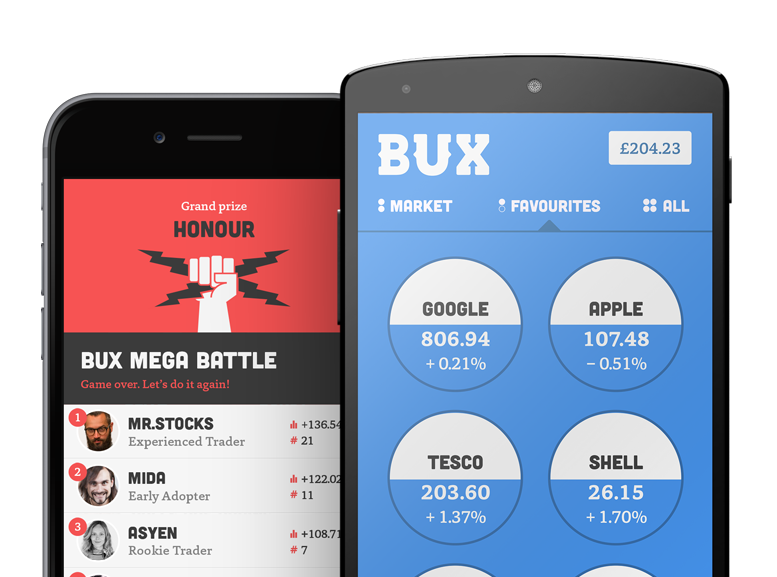 The prices in our BUX app match the real stock exchanges. However, they are not based on the price data of one single stock exchange. Every stock is traded on different stock exchange around the world. Therefore, there is not 1 definite price per 1 product. For example, HSBC is traded not only in the UK, but in the US and Hong Kong as well! Different stock exchanges send their prices to data vendors who collect all prices available (these vendors have been in existence as long as financial data has been available). BUX buys this data from the vendors and gets the real time streaming price feed based on the information received. Maybe you’ve heard of ‘Bid price’ and ‘Ask price’. Though with BUX you see only one price, how’s that possible? Well: we found that the difference between the Bid price and the Ask price makes trading too complicated. So we decided to offer a ‘mid-price’: a price between the Bid price and the Ask price.The Bid/Ask price is a two-way price quotation that indicates the best price at which a product can be sold and bought, at a given point in time. The Bid price represents the maximum price that a buyer is willing to pay for and the Ask price represents the minimum price that a seller is willing to receive. The mid-price we use is in the middle. For example: on the American stock exchange NASDAQ you can buy Facebook shares for $104,65/share and sell for $104,55/share. In other words, trading in this share is offered between $104.55 and $104.65. In this situation, the BUX's price, for example, is $104.60. Also for indices at BUX, the price is almost always between the bid and ask price of the market and is the same for all BUX clients. Sometimes there is a small difference between the price of an index at BUX and the price of an index in the market. There are a few things that can cause this. We link the price of an index to the "Future" of this index, which often has longer opening hours. If the underlying "Future" products are closed, then we look at related products in the market and adjust the price accordingly. This way, we can offer certain indices almost 24 hours a day. Questions? Please feel free to contact us at BUX Support.